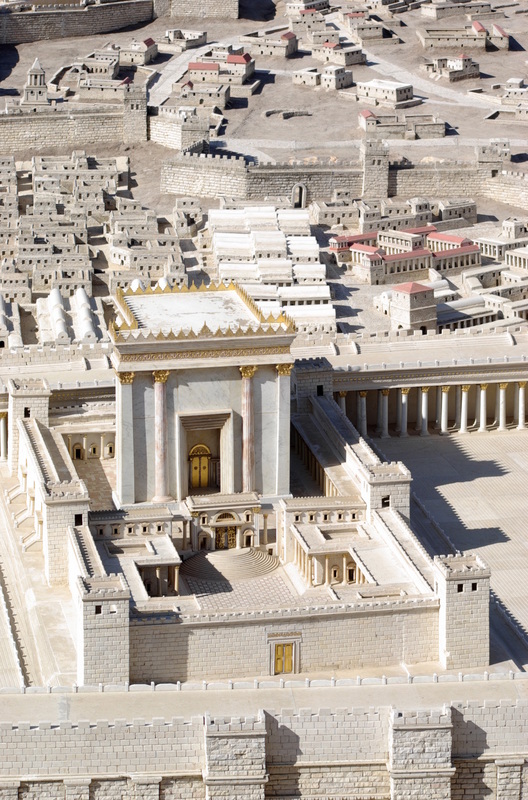 In the early centuries BCE the Jerusalem Temple, constructed by King Solomon 400 years earlier, was considered to be the heart and soul of religious life for the Israelites. The Temple was destroyed around 587BCE and as a result the temple, priesthood and sacrificial systems of the religion had to change. The Temple was rebuilt but a new form of Judaism had emerged which centred on the synagogue. When the Temple was again destroyed in 70CE by the Romans, it was this form of rabbinic Judaism, with the synagogue as its base, that survived the destruction. The Temple was where the Jewish people believed that God was present among the people, the place where God touched the earth. The Temple was therefore the place where offerings and sacrifices could be made, and also celebrations such as Pesah could be experienced. In the villages and towns surrounding Jerusalem it is estimated there were more than a hundred synagogues. Any town or village that had a minyan (10 Jewish men) could have its own synagogue. The synagogue was a place not only for prayer and worship, but for education, social events and town meetings. 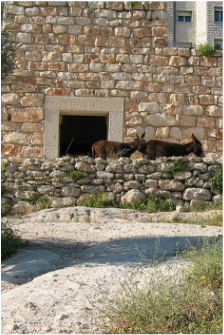 The synagogues were placed in prominent places and outside each synagogue was a mikveh, or ritual bath, where worshipers symbolically cleansed themselves before entering the synagogue. Inside the synagogue important people sat on benches, called chief seats, which lined three sides of the room. Speakers and readers would stand on a platform, the bema, and a small menorah, like the one in the Temple, probably stood there as well. Torah readers sat in a special place called the Moses' Seat (or Seat of Honour). Torah scrolls and the writings of the prophets were either kept in a portable chest that was brought to the synagogue for worship or were stored in a permanent Torah cabinet (called the Torah closet or holy ark) inside the synagogue. Festivals and holy days such as Sabbath, Yom Kippur, and the Feast of Tabernacles were celebrated in the synagogues. Rabbinic Judaism was based around the synagogue and the rabbis or teachers. The emphasis was thus on the Written Torah or Law, the Talmud, Halachah, and other similar religious texts. Once the Temple was destroyed in 70CE sacrifices or offerings could not be made in the Temple. Prayer and Study of the Law therefore came to replace the sacrificial aspects of Judaism which has continued to the modern day.